Some assembly is required for the BG#1400 and BG#2000 models. 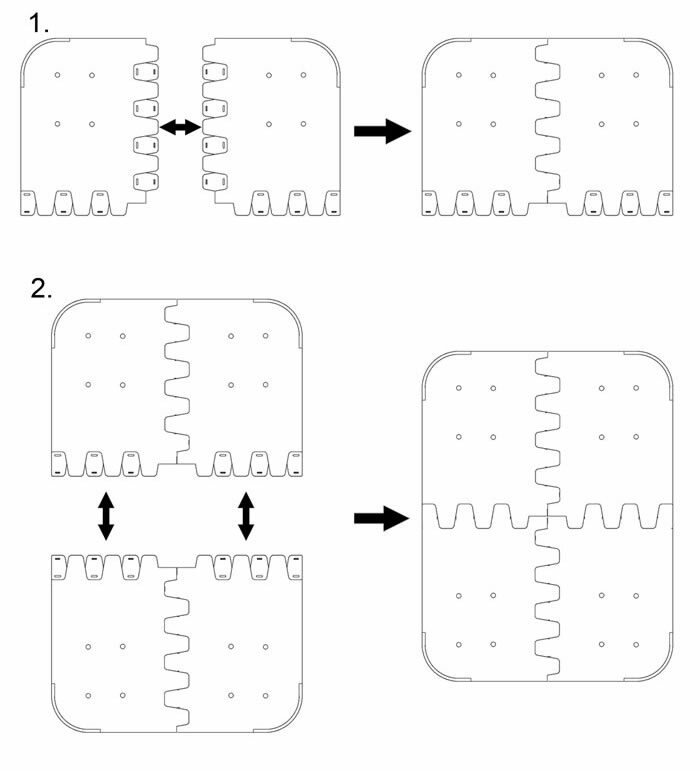 These two models come in four identical pieces, to assemble the pieces into one unit, follow the instructions below. To disassemble pull apart forcefully.